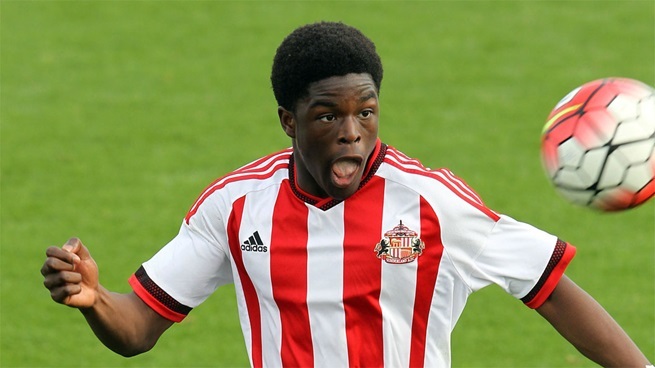 Like millions of teenagers, Josh Maja had a kickabout at the weekend – because that is what he loves to do. But the Kinetic graduate, hotly tipped for the top, made Manchester United defenders look like Sunday league players in the process. 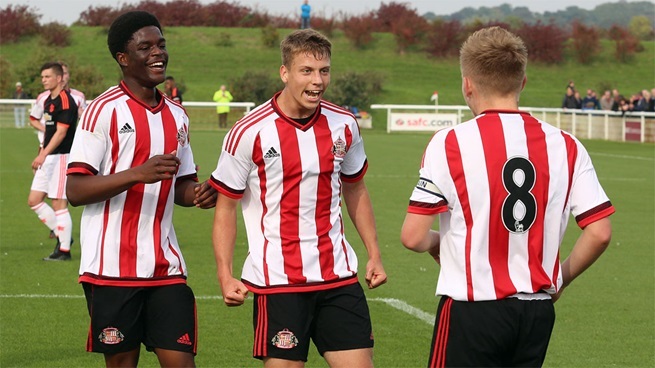 The young striker helped his Sunderland U18s to a 3-1 victory against the famous academy on Saturday. And an audacious, disguised assist from the 16-year-old was proof that he has a unique ability. Maja, who trained with Kinetic Academy last season, signed for the Black Cats in the summer and a flying start has not gone unnoticed. The Guardian identified him as ‘one of the best talents at Premier League clubs’ last week. In the rundown, he was described as having ‘impressive technical ability and physical power’. He ‘scores freely’ and ‘revels in dribbling at opponents’. But Maja, who grew up in Pimlico, knows he cannot get carried away if he wants to fulfil his potential. “It’s an honour to be picked in that selection,” he said. “But I can’t be distracted by the pressure and attention that comes with that. “I just need to stay focused on my football and work hard. “In the next five years I hope to be playing at the highest level in football. “But that’s down to how hard I work to get there. After spells at the Fulham and Crystal Palace academies, Maja joined up with Kinetic. His time at the academy, training weekly with the likes of Ipswich Town full-back Myles Kenlock, gave him the sharpness to impress the Sunderland scouts. But Maja thinks the academy also taught him to stay grounded and advice from coaches helped him play football the right way. “Kinetic is a very supportive and trustworthy place for young players,” he said. “They teach you a lot about how to be professional. “It helped me because I knew how to act when I’m around the club, to be respectful and humble. It seems to be working. His six league goals fired Sunderland to wins against Stoke, Wolves and West Brom before Saturday’s impressive victory over United at the Academy of Light. Maja said: “It was a very big result, coming up against a massive club. Head coach at Kinetic, Harry Hudson, is delighted to see Maja making waves on Wearside and thinks he can become an ‘established Premier League star’. He said: “Josh seems to be a step ahead of other players on the pitch which results in him being able to always seem calm, controlled and relaxed in possession.